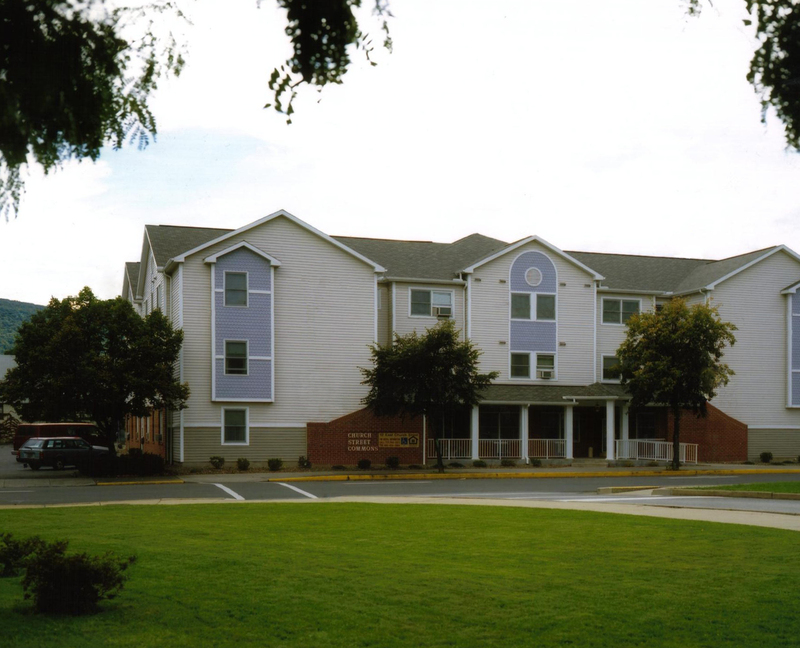 24-Unit Senior Living Apartment Building. 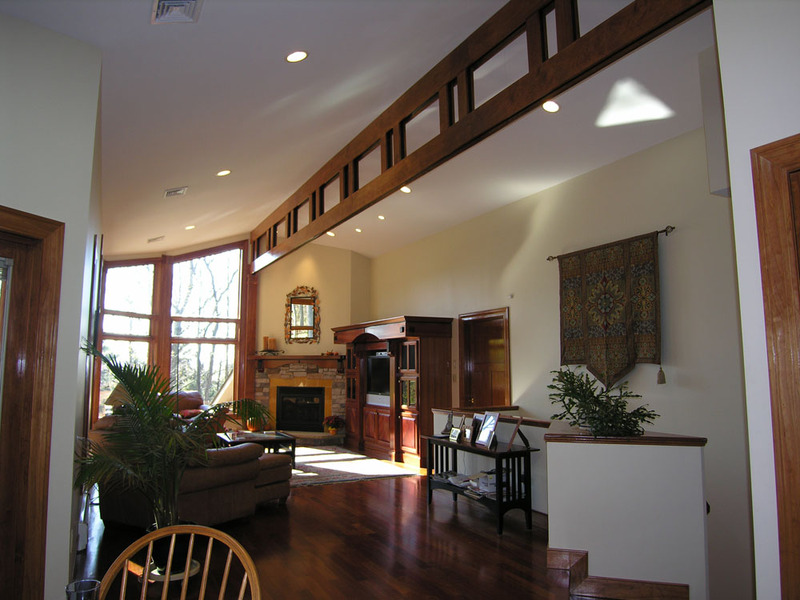 Community Room, Lounges and Interior Atrium. 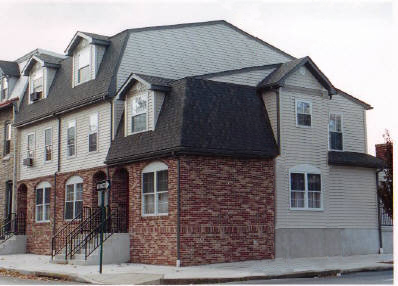 Received the Berks Community Housing Council’s 1997 Single-Family New Construction Award. Owned by the Reading Housing Authority, the project was a townhouse infill of row homes at the end of a block with historical character. The two 3-story units are 4-BR units and the end unit is handicapped accessible. 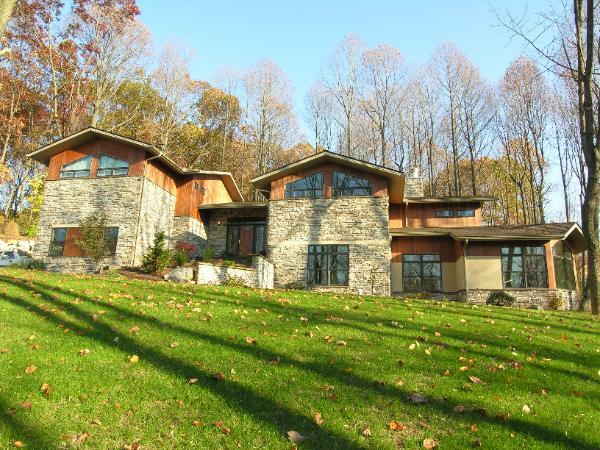 The Owners of this private residence wanted a house that flowed with the sloping site they had and to fit into the wooded setting. They wanted a contemporary house but also wanted a lot of wood detail. 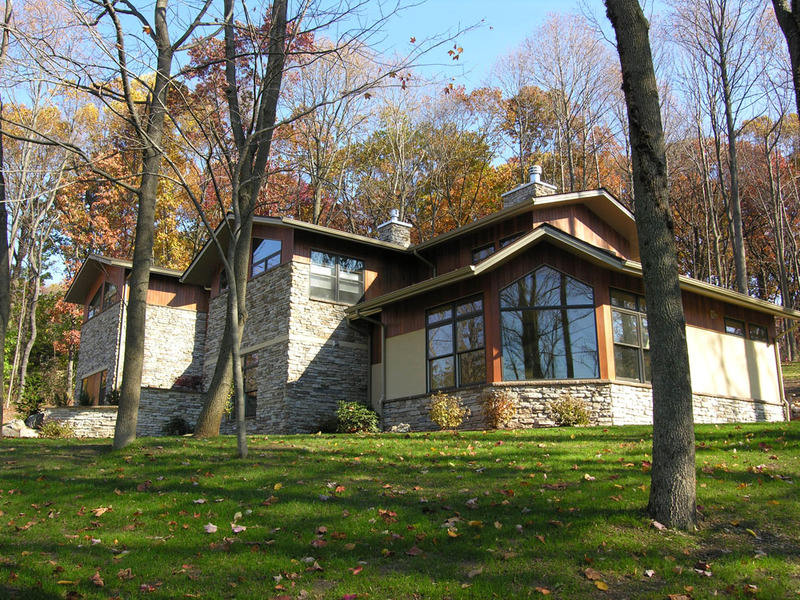 The design developed into a somewhat Contemporary Craftsman style. The Dining Room was designed to accommodate a large table and have views to the woods outside. 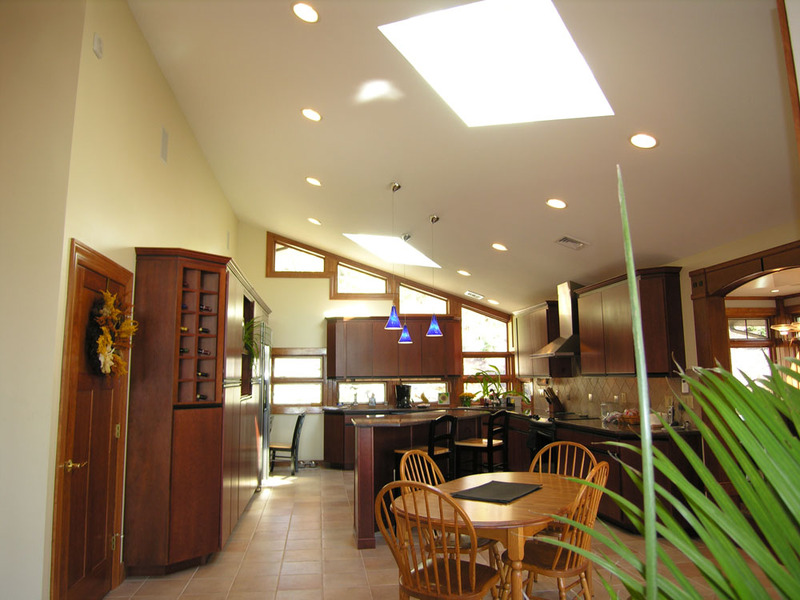 The kitchen is lit by (2) large skylights and features a bar and cherry cabinets. The kitchen opens directly onto a covered porch that is a direct extension of the interior space. The house features numerous windows that allow natural light into all spaces. 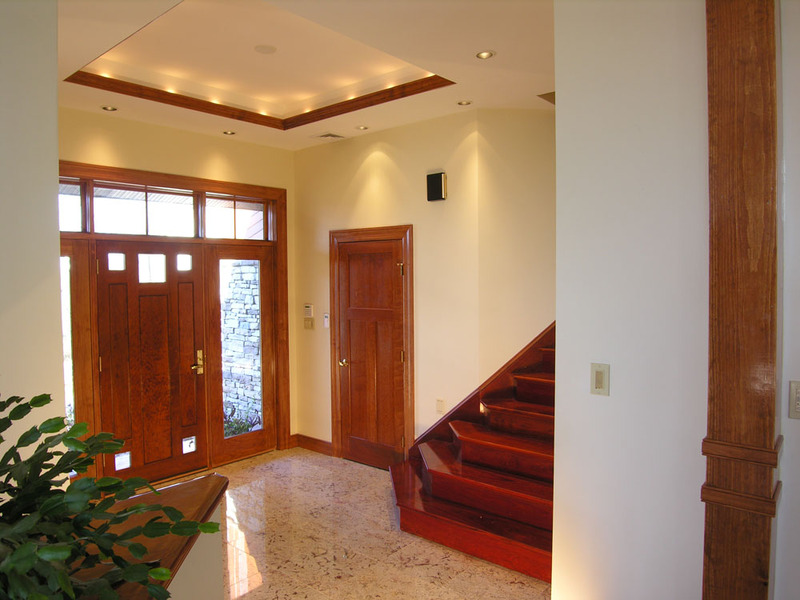 The transom theme continues around all the facades and the stone and cedar siding are broken up by stucco accents. The house has three main levels with each exiting directly to grade reinforcing their link to the surroundings. This was a modernization program for an eight story, 147-unit high-rise building that escalated into a major renovation project due to an unfortunate explosion. 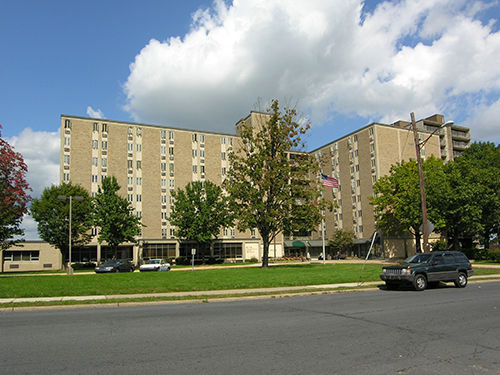 The project entailed major reconstruction/updating, with renovations to all public areas and office areas; new interior finishes for most of the first floor, exterior facade redesign and a building addition. Since there were many residents without apartments and the public areas were not accessible, an emergency situation existed which required that the architectural planning be coordinated with contractors work to expedite the construction. We were able to prepare documents in a timely fashion without any hold up. This has allowed completion of this major project to the satisfaction of all concerned under very difficult conditions and within 9 months of the incident.